SEATTLE, June 14, 2018 /PRNewswire/ -- Alaska Airlines adds daily nonstop service between San Diego and Spokane, Washington, offering a convenient way to travel between Southern California and Eastern Washington. 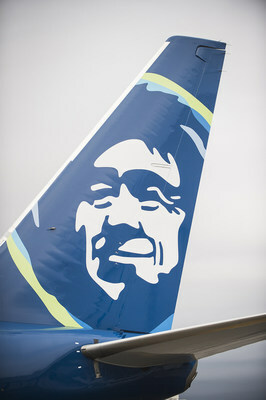 The new service, which is scheduled to begin on Oct. 1, will be the only nonstop flight offered between the two cities. "We're excited to add another connection between the Pacific Northwest and California with our new nonstop service between Spokane and San Diego, one of our key focus cities for growth," said John Kirby, vice president of capacity planning at Alaska Airlines. "Alaska continues to emphasize our commitment to continued growth and investment throughout the West Coast." "We're thrilled Alaska Airlines will be adding nonstop service between San Diego and Spokane," said Kim Becker, San Diego International Airport's President/CEO. "The economic benefit from adding new routes to San Diego simply can't be overstated. Bringing more people to the region means there are more people spending and investing money here. That helps create jobs and support jobs we already have. We value Alaska's partnership." "We want to thank Alaska Airlines for this important commitment," said Spokane Airport Board Chair Nancy Vorhees. "Nonstop service from the second largest city in Washington state to the second largest city in California has been an important priority for us and our partners in the business community, in particular LabCorp and Itron. We've also received excellent support from Red Mountain Resort for this nonstop service given the growing popularity of the winter ski scene throughout our region and the substantial interest from southern Californians visiting our area at all times of the year." As the go-to airline for customers on the West Coast, growing in California remains a key focus for the airline. Alaska is continuing to make investments in improving nonstop access from key focus cities in the state, while investing in improving the onboard product with the addition of high-speed satellite Wi-Fi connectivity, free movies and chat, and the introduction of a new food and beverage program that embodies Alaska'sWest Coast vibe by featuring fresh and local ingredients and new selections of craft beers and local wines. San Diego and Spokane are part of Alaska'sWine Flies Free program, which allows Mileage Plan members to check an entire case of wine – up to 12 bottles – with no baggage fee. To purchase tickets, which go on sale today, visit www.alaskaair.com or call 1-800-ALASKAAIR (800-252-7522 for Hearing & Speech Impaired (TTY): Dial 711 for Relay Services).